The soil plays a key role in viticulture, its chemical elements and origin have a huge influence on the sensorial characteristis of the wine and they are the foundation for zonazione: the study of the viticultural environment. In regard to Boglietti’s winery it is the exploration of 5 vineyards: Brunate, Case Nere, Fossati, Boiolo of Comune di La Morra and Arione of Comune di Serralunga. Boglietti already produces from these crus, so the aim of our zonazione is to collect as many details as possible to better understand the wines coming from these vineyards. 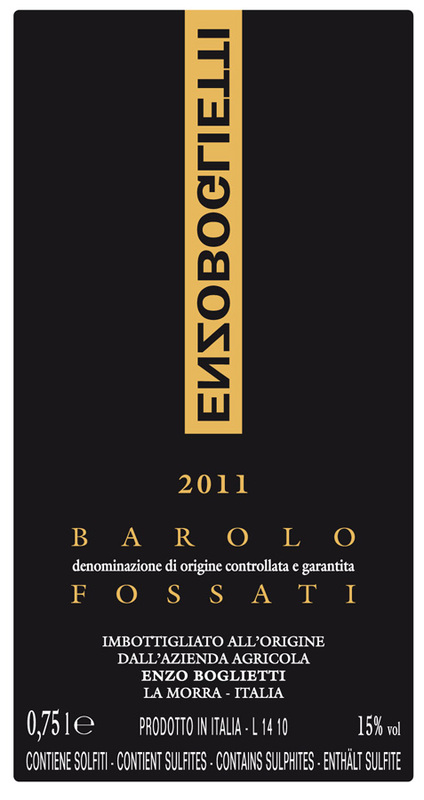 This work will help to comprehend why some of the aroma and flavour characteristics of these vineyards of Barolo are the result of the soil where they are grown and how the soil itself is the main character. These are wines with peculiarities that belong only to the Barolo area, they recall the soil and the climate of their motherland because they are themselves the land. 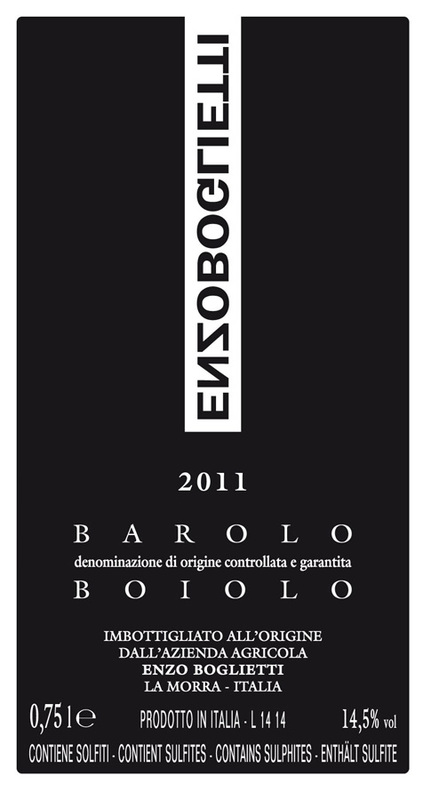 Barolos create a genuine wonder that encloses their origin and makes these wines unique. The emotions that arise from Barolo grow between present and past memories, history and tradition to delight the senses in a way that only wines of Terroir can do. Terroir is a untranslatable french word that encompasses the the soil, the climate, the grape variety, the work of the man and is expressed by the wine made from such a unique context. Origin: La Morra. Exposure S/S-E. Altitude ranging between 300 and 350 m. Silty clay soil, alkaline with very little organic matter. Planted in 2005. 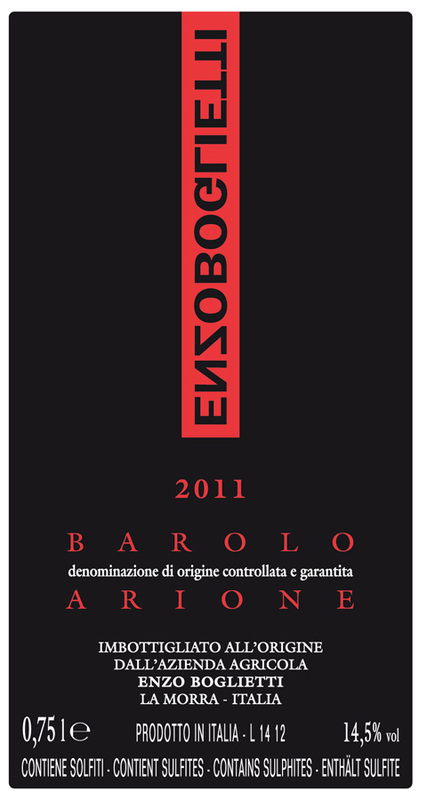 Clones of Nebbiolo: CVT 71; 423. CVT CN 142. Maturation: Matured in a large oak vat for the first 2 years, then racked into a concrete tank for a further year. Tasting notes: Austere and mineral bouquet, with spice, aromatic herbs and dark fruit being the prevalent aromas. The palate delivers a heady combination of ripe and silky tannins with fruit flavours. The aftertaste is deep and very long. 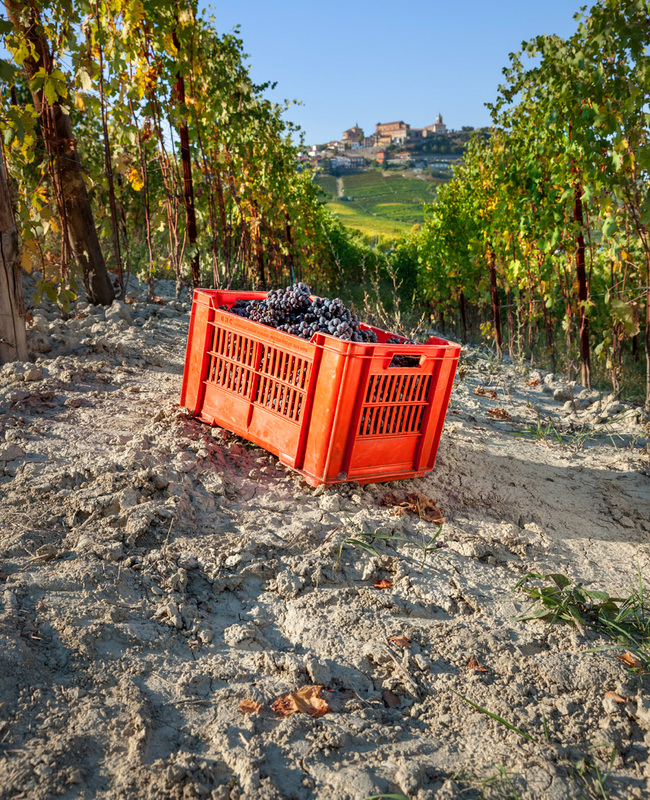 The silty clay soil with little organic matter is responsible for the powerful yet austere structure, the large clay patches give the complexity of flavours and aromas. Origin: La Morra. Exposure: S-E. Altitude around 350 m. Silty clay soil with clay patches and little organic matter. 20% of vines 60 years old, 80% of vines 14 y.o. Clones of Nebbiolo: CVT CN 142; CVT 71, 141. Maturation: Matured in barriques, 50% new for the first year than racked to a wooden vat for a further year. Tasting notes: Pronounced aromas of dark fruit, goudron, forest undergrowth and cloves on the nose. Ample fruit and spice flavours fill the palate with imposing fine tannins which provide length and an elegant finish. The clay portion of the soil is responsible for the robust structure while the clay patches provide for the freshness and balance of aromas. Origin: La Morra. Exposure E/S-E. Altitude ranging between 370 and 420 m. Silty clay soil, subalkaline, with very little organic matter. 30% of vines 60 years old, 70% of vines 15 y.o. 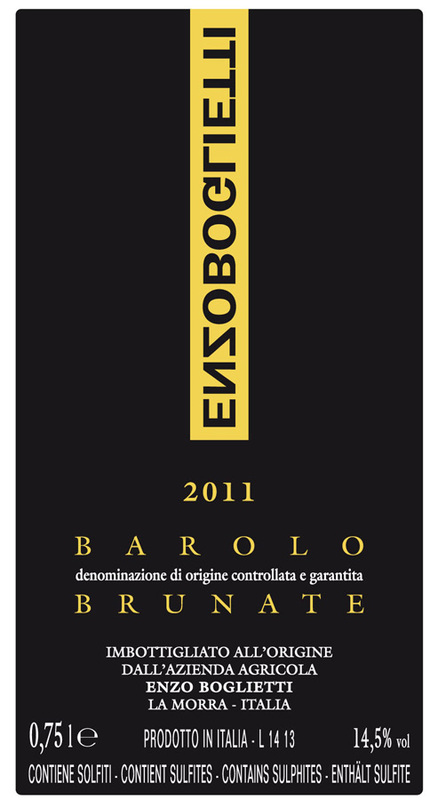 Clones of Nebbiolo: CVT CN 142; CVT 230, 36, 111. Maturation: Matured for 1 year in barriques then racked into a large oak vat, ranging between 1.5K and 4.5K, for the second year and then to concrete vat for a further 8 months. Tasting notes: intense and youthful bouquet of dark fruit, with underlying floral notes, pungent spice and iodine. Juicy, with racy tannins that make it weighty on the palate and confer a fine and long aftertaste. The clay, silty soil with little organic matter gives the backbone while the old vines are responsibile for the ethereal aromas. Origin: Serralunga. Exposure S-W/S. Altitude around 450 m. Silty soil, alkaline,with little organic matter but with an high content of sand and marine fossils. Planted in 1999. Clones of Nebbiolo: CN 111; CVT 230. Maturation: Matured in barriques, 40% new, for the initial 12 months than racked into a large oak vat for further 16 months. Origin: La Morra. Exposure E/S-E. Altitude ranging between 300 and 350 m. Silty clay soil, sub-alkaline, with very little organic matter. Planted in 2002 from a massal selection. Maturation: Matured in barriques, 30% new, for 2 years. Tasting notes: delightfully warm and upfront bouquet of red fruit and dried rose, enriched by aromatic herbs and spices. On the palate it is balanced, intense with an extremely enjoyable finish of spice and red fruit. The clay, silty soil high in limestone gives the structure and the warmth of aromas.